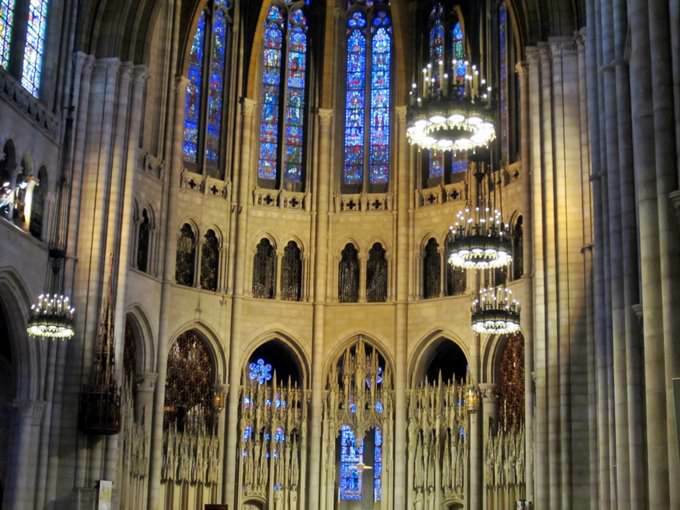 Any review of the architecture of New York would be incomplete without mentioning Statue of Liberty, Chrysler Building, Cathedral of Saint John the Divine, Riverside Church, 1 World Trade Center and many others. The virtual flight over these monuments in HD (the video is on the left), the photo galleries of New York, and the most interesting facts about every sight – we have carefully prepared lots of useful information for you. 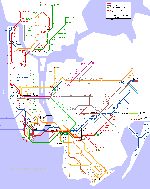 The overview architecture map of New York at the bottom of the page will help you not to get lost in your sightseeing routes of New York. So, let’s go! 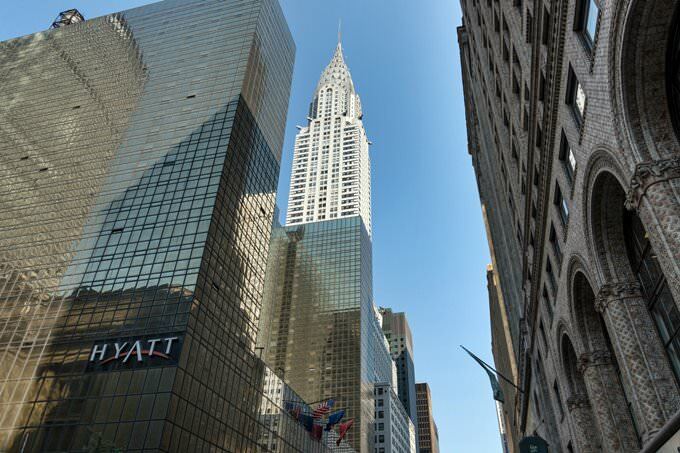 » The Chrysler Building is the skyscraper of Chrysler Corporation raised on the island of Manhattan. Its height is 319 meters. » The Chrysler Building was being built very quickly, four floors per week. Despite of this, not a single worker has lost life at a construction yard. » At night the top of the Chrysler Building is illuminated by numerous spotlights. There are various schemes of illumination allowing to highlight the upper part of the building in any color for every special occasion. » Top of the building was initially used to install TV and radio transmitters. » Six upper floors of the Chrysler Building are used for access to the equipment on the steeple of the skyscraper. » Today, the Chrysler Building is the tallest building constructed of bricks. » 1 World Trade Center is the central building of the new World Trade Center complex. New Yorkers call it the Freedom Tower. » Initially, the original idea to construct the tower of concrete has been criticized within the framework of fear of the new attacks. That resulted in the nickname of the building, the Tower of Fear. » The tower is crowned with 124-meter spire weighing 758 tons that serves as the transmitting antenna. » Building height of 1,776 feet isn’t accidental; it emblematize the year of the Declaration of Independence. 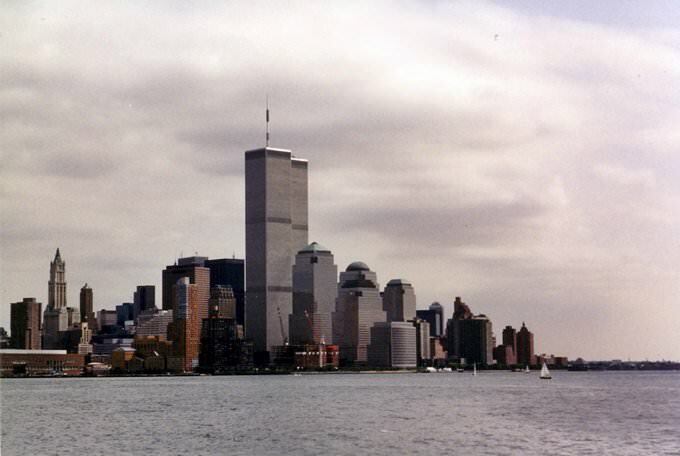 » New World Trade Center became the tallest building in the United States, as its height with a spire is 540 meters. 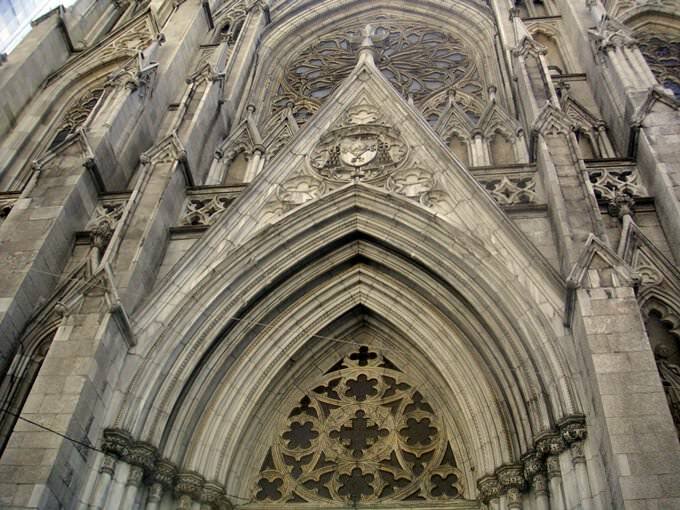 » The St. Patrick Cathedral is one of the largest Catholic cathedrals in America. » Cathedral Gate is made of bronze and weighs more than 18 tons, but it’s so well balanced that can be opened with one hand. » The main relic is the image of the Virgin of Guadalupe. 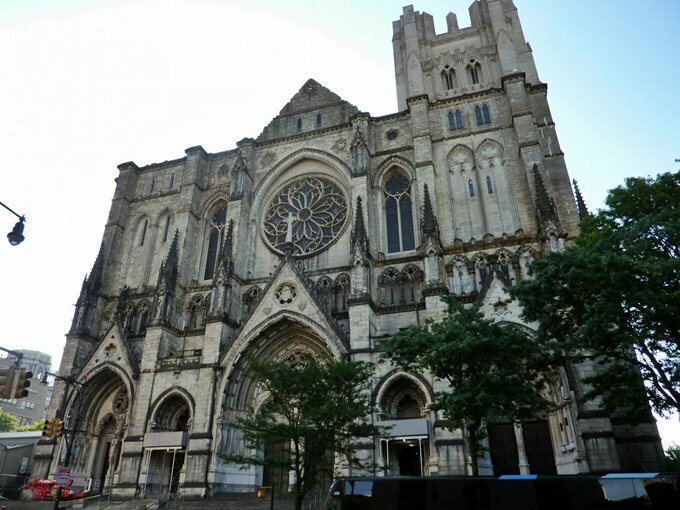 » The cathedral is built of brick and decorated with marble. » Construction began before the start of the American Civil War, and was suspended for the same reason. » Design of the altar in the St. Patrick Cathedral was made by Tiffany. 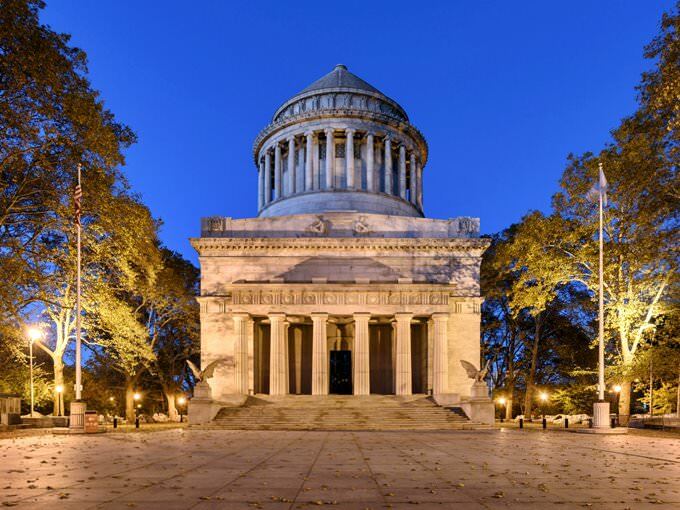 » The Grant Tomb is the mausoleum of the American President Ulysses S. Grant. » Ulysses S. Grant was a simple farmer, who led the group of volunteers at the beginning of the Civil War. He became the first General of the Army in the United States, and then the 18th president, who served two terms. » It took 8,000 tons of granite to construct the mausoleum. Inside it’s decorated with mosaics depicting scenes of the Civil War. » The antique mausoleum at Halicarnassus has inspired architects. » Five years later, next to Grant Tomb was installed the tomb of his wife. 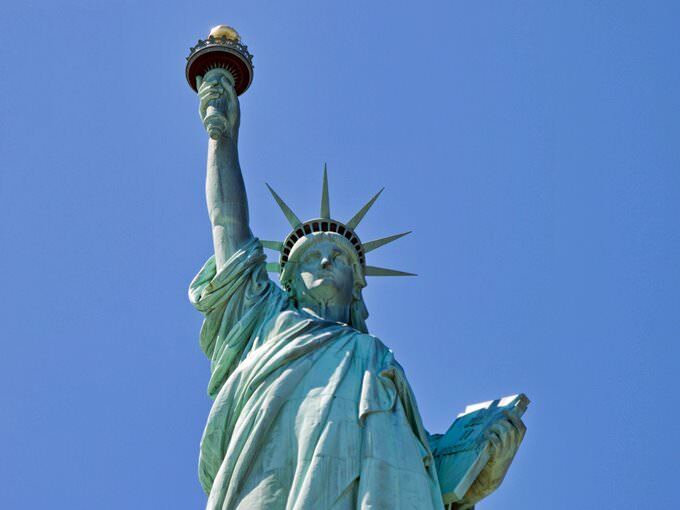 This guide to architecture monuments in New York is protected by the copyright law. You can re-publish this content with mandatory attribution: direct and active hyperlink to www.orangesmile.com.